You’ll love this gluten free oatmeal! Oh how I love breakfast! In fact, it might be my favorite meal of the day! I love to get my body started on the right foot for the day….it’s a win-win! 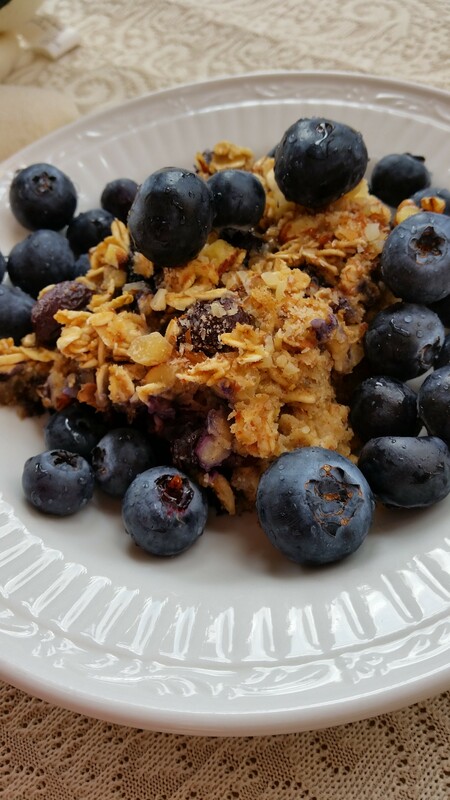 Since blueberries are my favorite fruit, this gluten free oatmeal is hearty, delicious, and so easy to make. Preheat your oven to 350˚. Prepare a 9” x 13” pan with non-stick spray. Get two bowls ready and mix all dry ingredients in one (use only ONE serving of the chopped almonds), and whisk wet ingredients in the other. Combine the two mixtures together with a wooden spoon and then gently FOLD in the blueberries. Pour into your prepared pan and top with remaining serving of chopped almonds. Bake for 30 minutes or until brown and bubbly. You may want to insert a toothpick into the oatmeal to ensure it is done (toothpick should come out clean!). 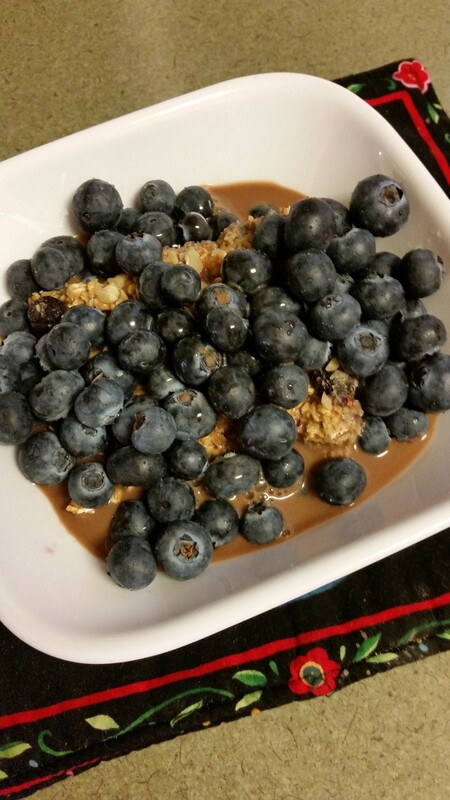 You can top each serving with more fresh blueberries….since you can never have enough blueberries! Also, you can pour some milk of your choice on top and enjoy! And believe me, it’s great the next day, too! Just heat it up for a few seconds in the microwave and garnish….oh my! « Happy New Year! Soup for you!